Race to see how much can be accomplished before time runs out. Great for games, timed test, and time management. 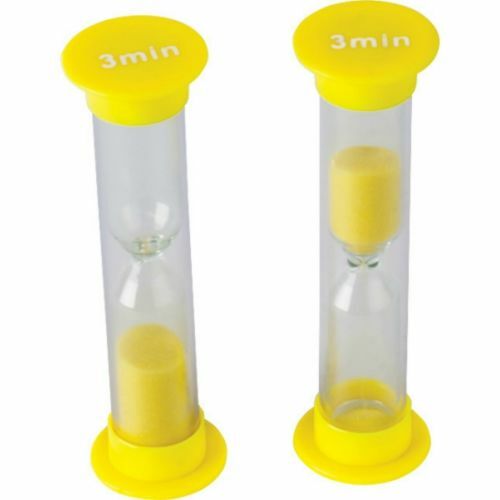 Handy plastic timers with colored sand. Includes suggested activities. Each timer measures 1" x 3.5". 4 timers per pack.